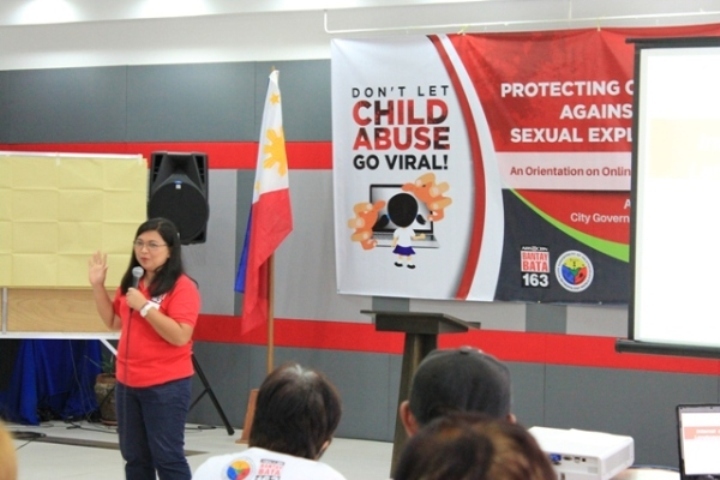 As part of its public-private- partnership with the City Government of Valenzuela, Bantay Bata 163 facilitated a 2-day orientation focusing on online child protection which carried the title “Protecting Children against Online Child Sexual Abuse”. Bantay Bata 163’s OIC Sheila Estabillo tackled the overview of the issue in the local and international scene, showing statistics and findings of various researches made to corroborate the call for action to battle this emerging form of abuse to children. Emphasizing however, that child abuse is an old problem of humanity but is now taking a new form and access to the poor and vulnerable parts of the globe through internet and technology. Invited speakers who took part in sharing their experience and expertise to combat this issue are SPO2 Joseph Arnie Delos Santos of the Philippine National Police, Cybercime Department who pragmatically discussed the roles of the police force in the case build up, investigation and apprehension of criminal elements and the preservation of digital evidences. Another speaker is Investigation Agent Christian Andrew Ibasco of the Department of Justice who imparted the drive of the government towards international linkages and legal bodies to prosecute international predators, and lastly, two social workers from DSWD –NCR, Ms. Krishna Mae Salazar and Ms. Mary Jo Gongora discussed their respective roles on the protection of children against online exploitation, from rescue, coordination, and rehabilitation of victim survivors and their families. On Day 1, over a hundred baranggay officials and workers actively participated at the orientation. 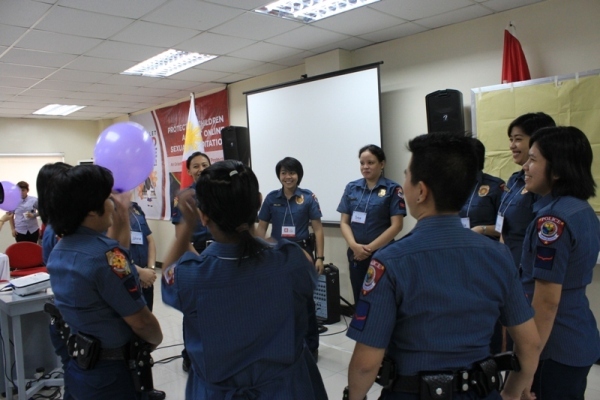 Day 2 was attended by members of the women and children’s desk, city prosecutors, Staff of Valenzuela’s child caring-centers and the city social workers.